Indeed, his is one of the most enduring stories of all time. Though his tale is rooted in the fifth and sixth centuries, it has continued to captivate audiences to this very day. There is just something about the sword in the stone, the Knights of the Round Table, Lancelot, and the wizard Merlin that has kept us coming back to the various legends of King Arthur for such a long time. In the last 15 years alone, there have been Hollywood movies, computer games, and other creative re-tellings. 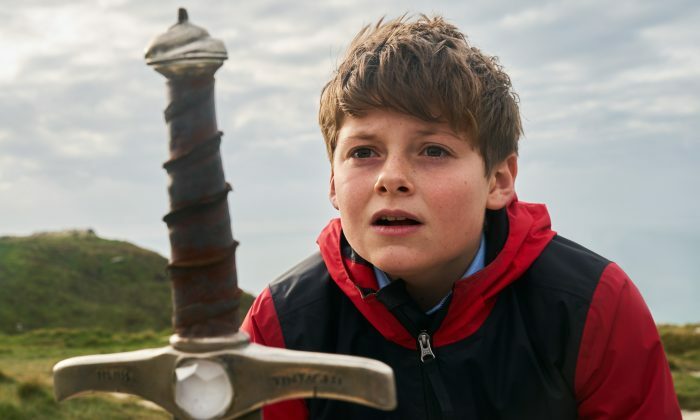 With Bangor University’s new Center for Arthurian Studies just launched in 2017, and Joe Cornish’s “The Kid Who Would Be King” just released, there is no doubt that both the scholarly search for Arthur and the impact of his legends on modern culture are continuing to flourish. Arthur’s life story is one that has become almost a standard for knightly heroes to aspire to. He is seen as brave, noble, kind—everything that some might say is missing from our modern world. Few might know that Arthur is a hero whose ancestry goes back to the Brittonic inhabitants of early medieval Wales before the arrival of the Saxons, and not just the kingly figure that appears in later romances. In fact, the Arthur of legend was neither a king nor the owner of a round table, at least not in the way we use these terms today. Records about Arthur’s life are few and far between. He emerges in the sixth century in the work of the Welsh monk Gildas, where Arthur’s victory at Mount Badon is celebrated, but he is not named. It is only in the ninth century “Historia Brittonum,” composed by another monk, Nennius, that Arthur is named as a “dux bellorum,” a military commander, and his 12 battles are listed. Much time passed between these early records and the 12th century’s full-blown accounts of Arthur’s reign, in the work of Geoffrey of Monmouth and the French Chrétien de Troyes, the writers who truly made Arthur the legendary king we now know, and he took on a variety of roles. In the Welsh stories, Arthur remains a warrior, often a foil for other heroes’ path to greatness. But in the early French romances, he provided a yardstick for courtly behavior, as epic battles do not form the backbone of these later stories written on the continent. Geoffrey of Monmouth brought back the leadership and determination of an Arthur who becomes not only a king (on whom 12th-century Anglo-Norman kings could model themselves) but also a conqueror—again reflecting a desire for greatness beyond national boundaries. Thus the image of the courtly king, a leader in both war and times of peace, was born. However, Arthur was always connected to the realities of those countries, and the times and peoples for whom he was reinvented. 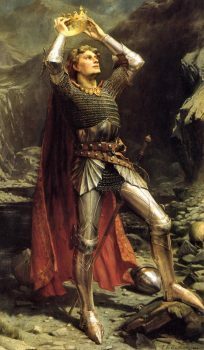 The Arthurian revival of the late 19th century, for example, helped put him back on the international cultural map by removing the historical aura and emphasizing the values he stood for—a far cry from the medieval attempts to utilize him as a national figure from whom medieval kings could derive their right to rule. This paved the way to the fantasy worlds created, most famously, by T.H. White in “The Once and Future King,” published in 1958. All of these interpretations were about more than just revealing the secrets of one of the most intriguing men of all time. In this confusing and sometimes frightening world, audiences seek reassurance in the models of the past. They want a standard of moral integrity and visionary leadership that is inspirational and transformational in equal measure, one that they cannot find in the world around them but will discover in the stories of King Arthur. Is our modern appetite for fantasy a reflection of our need to reinvent the past, and bring hope into our present? Moral integrity, loyalty to one’s friends and kin, abiding by the law, and defending the weak form the cornerstone of how Arthurian fellowship has been defined through the centuries. They offer the reassurance that doing the morally right thing is valuable, even if it may bring about temporary defeat. In the end, virtues and values prevail, and it is these enduring features of the legends that have kept them alive in the hearts and minds of so many through the centuries. Raluca Radulescu is a professor of medieval literature and director of the Center for Arthurian Studies at Bangor University in the UK. This article was originally published on The Conversation.